I have a major sweet tooth, and as such I tell my sweetie every year that I don’t want flowers, but a yummy treat! I love flowers, they are beautiful, but they die so quickly and they can be very expensive, too. 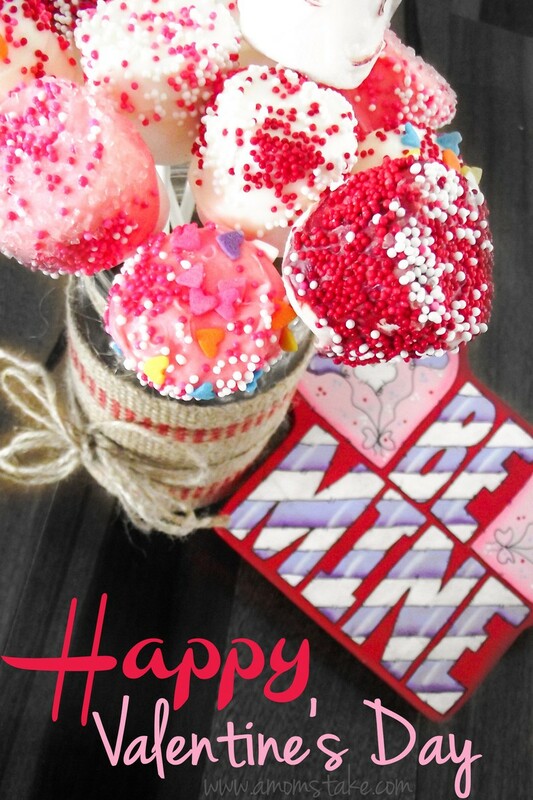 For a fun alternative bouquet to share with your sweetheart, whip up a batch of Easy Valentine Marshmallow Pops! This easy to make treat is also perfect for parties and as a classroom treat! 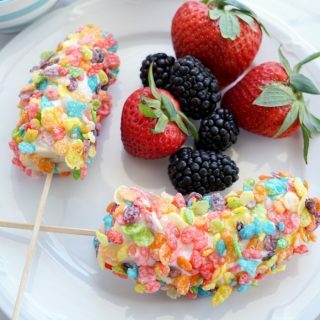 To make your pops, start by putting a lollipop stick into your marshmallows, stopping before the stick comes through the top of the marshmallow. Then, just stick your marshmallows in the freezer for 10 minutes to protect them from the heat of melted chocolate. Next, you’ll melt your chocolates. Pour your candy melts into a microwave safe bowl and heat for 30 second intervals stirring between each heating until all of the candy melts are completely melted and smooth. Now, you can add food coloring to some or all of your melted chocolate, if desired. Pick out a variety of fun colored sprinkles and pour the sprinkles into small bowls ready to use for dipping your pops into. Now that you have all your supplies ready, grab your marshmallows out from the freezer and start by dipping a marshmallow into the candy melt covering about 2/3rds of your marshmallow in chocolate. Then, immediately dip or sprinkle with decorating sprinkles. Your chocolate will harden and hold your sprinkles into place. 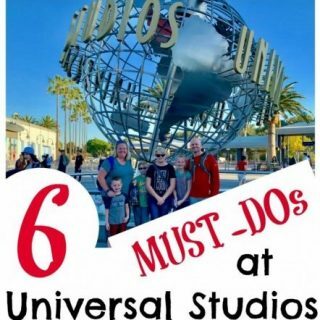 Now, just place your first finished pop standing upright in a glass jar and continue on to do the rest of your marshmallow pops. Don’t let any of the pop touch each other until they have completely cooled and hardened. You can place your pops in the fridge to speed up the cooling process. 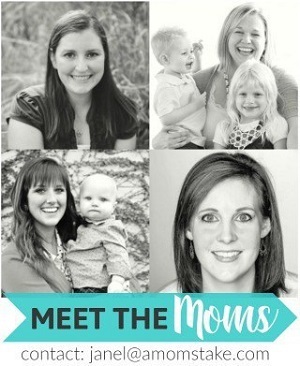 Once the pops are hardened, place in small plastic treat bags and tie with your choice of ribbon or leave as a bouquet. 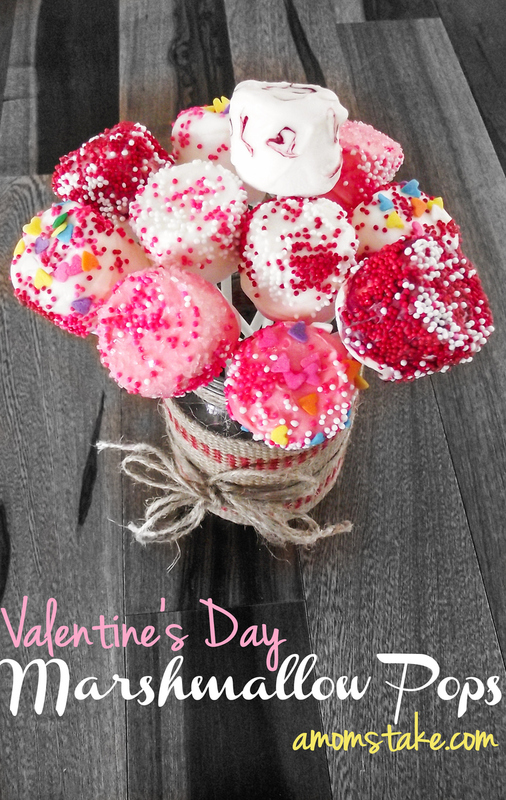 Cute and yummy treats perfect for a Valentine's day party! 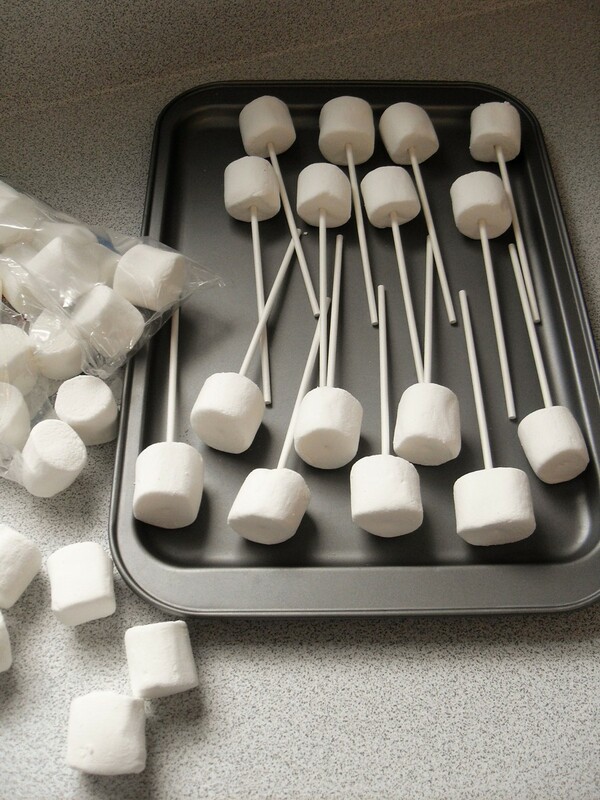 Insert lollipop sticks into marshmallows, stopping just before the stick comes through the marshmallow top. Freeze for 10 minutes. In small microwave safe bowl, heat candy melts for 30 seconds. Stir and heat for additional 35 seconds until completely melted and smooth when stirred. Add food coloring to achieve desired color. If melt does not seem smooth, you can stir a small amount of shortening in. 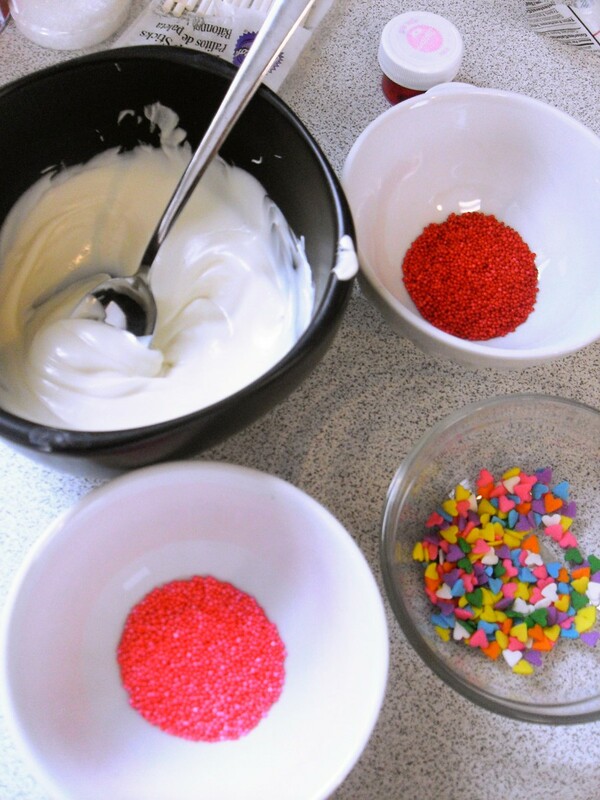 Place a variety of sprinkles in small bowls. Remove marshmallows from freezer. Dip the marshmallow into the candy melt, covering about ⅔rds of the marshmallow. Immediately dip or sprinkle with decorating sprinkles, covering about ⅔rds of the candy coating. Stand the finished pop in a glass and continue with additional pops. Do not let pops touch one another until the candy melt has hardened. Place pops in the refrigerator to speed the process of the candy melt setting up. Repeat process with additional colors of food coloring in candy melt. 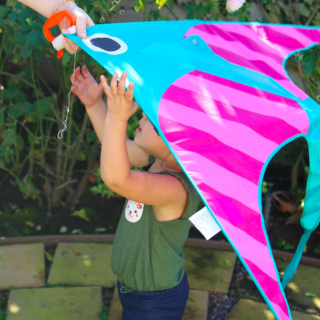 Once the pops are hardened, place in small plastic treat bags and tie with your choice of ribbon. 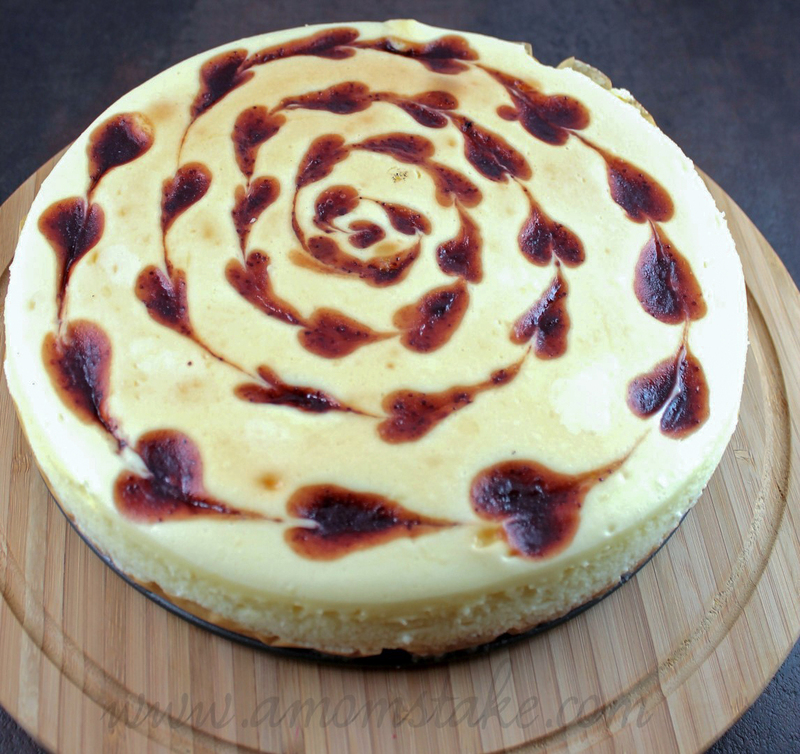 Here’s another fun Valentine’s Day treat, a Strawberry Swirl Cheesecake! 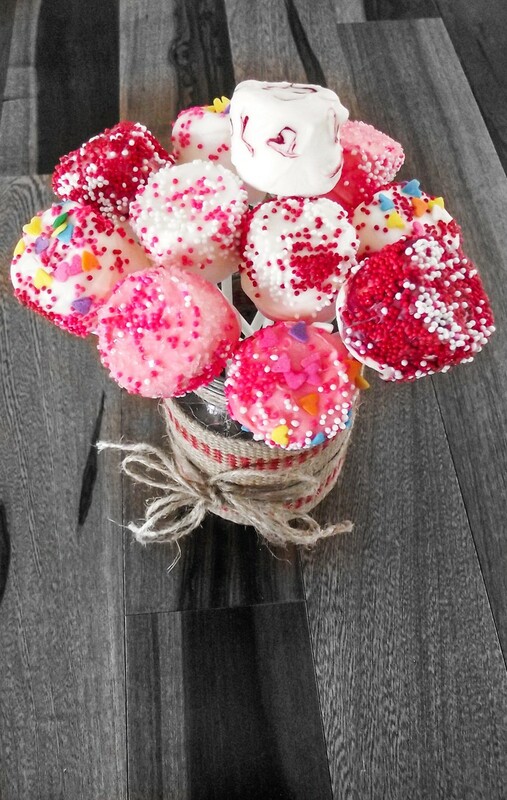 Would you rather receive a bouquet of marshmallow pops or flowers?